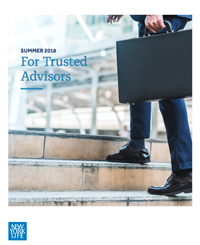 To stay in the loop about topics that are important and relevant to you if you're a CPA, Attorney or other professional advisor, take a look at one of our newsletters or events listed below. 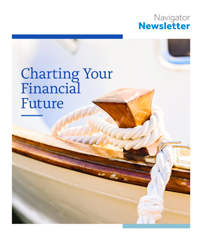 Check back often to see new resources, updated articles and new events. 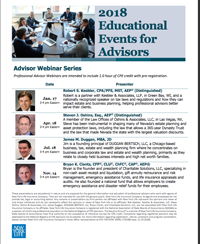 Save the dates for our Advisor Webinar Series and the 2018 Feldman Forum. Download the flyer for more information.